This song was originally written by John Kuczaj and performed Nov 8, 2014 at "There Will Be Cake! ", an improvised wedding reception by the Chicago improv group Hippohorsey Donkeymonkey. Released Nov 30, 2014. It's no "Electric Slide"...but it's fun! Atomic Shop's 3rd Album "Entropy"
A dark and unforgiving hard rock album exploring the monsters in politics, the demons of the mind, and the defilers in society. 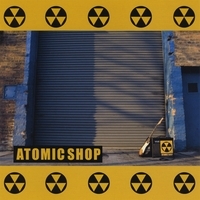 "Entropy" is the third album from John Kuczaj's "Atomic Shop". If you like dark and percussive hard rock with a dose of social commentary then you'll love "Entropy". The album is divided into three suites: "The Monsters" rips apart the seamy underbelly of politics and business with "Ticks", "Too Big To Fail" and "The Chicago Way". "The Demons" explores the depths of depression with "Loathe" and "Chromatose". "The Defilers" exposes society's predators from their twisted point of view with "Veritates Catholicae" and "While You Were Out". 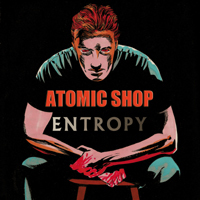 "Atomic Shop's "Entropy" is a hard-hitting, uncompromising, NSFW, mature audiences-only punch in the face. 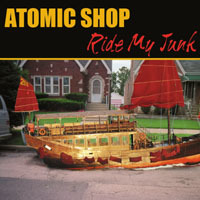 "Entropy" is the follow-up to 2011's "Ride My Junk".